After a long day on the battlefield, take a seat on this. 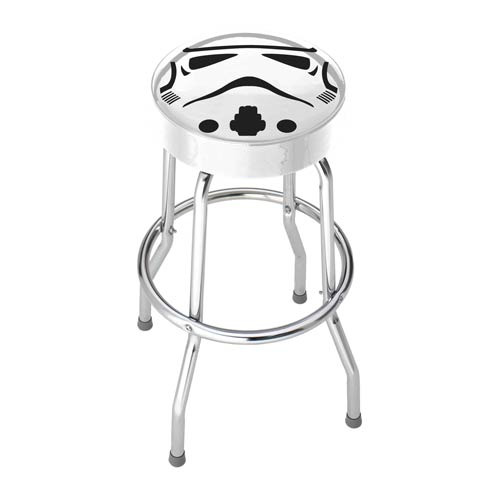 Measuring about 29 1/2-inches tall, the Star Wars Stormtrooper Garage Stool will make a fantastic addition to your workshop or breakfast bar! It features a strong chrome-plated steel frame and a comfortable foam-padded seat. The non-spinning seat is made of a thick vinyl material for long-lasting durability. Ages 15 and up.